If your skin has lost its luster and firmness or is marred by scars, lines, or brown spots, you don’t have to turn to surgery or lasers to revive your glow. 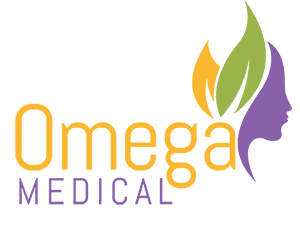 At Omega Medical in Florham Park, New Jersey, your practitioners use an elegantly simple treatment called microneedling to rebuild and revitalize your skin. Under the guidance of expert cosmetic physician Dr. Amit Chitalia, your Omega Medical professionals improve the look and feel of your skin with dermapen microneedling on virtually any area of your body. Call or schedule an appointment online to rebuild your skin at Omega Medical today. Microneedling is a treatment in which your Omega Medical aesthetician stimulates your skin’s natural healing powers. A professional dermapen microneedling device creates straight, narrow holes that run vertically into the deeper layers your skin. The microwound columns are only about the width of a hair. First, the needles break up old strands of collagen and elastin in your skin that have lost their strength and resiliency due to sun damage or aging. Next, your body removes the old collagen and begins a healing process that generates new collagen and elastin. Because professional microneedling wounds are so small and deliberate, the collagen and elastin rebuild your skin in an orderly manner, creating stronger, firmer, more lustrous skin. Your aesthetician can even microneedle stretch marks. Can I do microneedling at home? Home microneedling kits aren’t as effective as professional microneedling devices, and aren’t sterile, either. Home kits consist of rollers studded with little needles that enter your skin at a haphazard angle, rather than precisely, vertically, and straight. The dermapen needles are longer than those on rollers and can make more dramatic and longer lasting changes. Your aesthetician also expertly selects the needle length based on the quality of your skin, where your treatment is, and what kind of tissue remodeling is required. Finally, the practitioners at Omega Medical undergo rigorous training in microneedling technique and safety, and are medically supervised by Dr. Chitalia. The dermapen device features single-use needle cartridges, which are used only on your skin — and only one time — to ensure your safety. How long does it take for microneedling to work? Directly after your treatment, your skin may glow. However, the real benefits occur over the next four to six weeks as your skin rebuilds itself with collagen and elastin, becoming firmer, tighter, and smoother. You may need a series of treatments to achieve your goal. You can also talk to Dr. Chitalia about adding platelet-rich plasma (PRP) to your microneedling treatment to accelerate healing and collagen remodeling. To book your professional microneedling session, with or without PRP, call the friendly Omega Medical staff or use the online scheduler.